Leisure and sporty styles are key of boys' trousers. 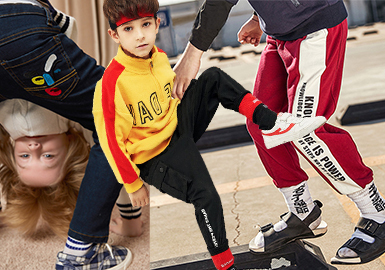 This report is all about A/W 18/19 trousers from Balabala, GXG.kids, Mini Peace and MQD. With different fabrics, patterns, colors, techniques and silhouettes, trousers are stylish.